Pizza is one of my favorite things to eat. The consistency of the cheese and the tanginess of the tomato sauce on top of a beautifully baked bread is what makes me crave this Italian influenced deliciousness. There are so many different types of pizza: Chicago deep dish style, New York style thin crust, and Italian Neapolitan. Personally, I like all types of pizza, as long as there is a great crisp exterior with a decently nice chew in the center. Midici is one of those restaurants that live up to that description. Made using non-GMO OO flour imported from Naples, the eatery manages to create perfectly constructed Neapolitan style pizza that takes you back to Italy. Located in gorgeous Marina Del Rey, Midici offers made to order authentic Neapolitan pizza baked to perfection in 90 seconds. As a result, you are delivered a crisp crust, a chewy interior, and a pizza that holds up to its shape. What is truly impressive is the feeling of satisfaction without feeling glutinous after eating one of the Midici pizzas! THE CAESAR ($12.00): Romaine, Shaved Parmigiano-Reggiano, House-made Croutons, Caesar Dressing. Sooo good. Who doesn't like Caesar salad. Legit. Good. Enough said. MIDICI HOUSE ($11.00): Seasonal Greens, Arugula, Grape Tomatoes, Shaved Parmigiano-Reggiano, Balsamic Vinaigrette, Balsamic Glaze Drizzle. So fresh. A yummy salad without being drenched in creamy dressing. BURRATA W/ MELON AND PROSCIUTTO ($11.00): Burrata, melon, prosciutto, extra virgin olive oil, salt and pepper. This was so good. It was a great way to start the meal without feeling too heavy eating it. The saltiness of the prosciutto complemented the sweetness of the melon. The burrata was melt in your mouth goodness. HOUSEMADE MEATBALLS ($8.00): Beef, Fresh Mozzarella, house-made marinara, parmesan. This was absolutely delicious. The meat was tender and moist and the marinara was slightly sweet, with a perfectly balanced acidity. 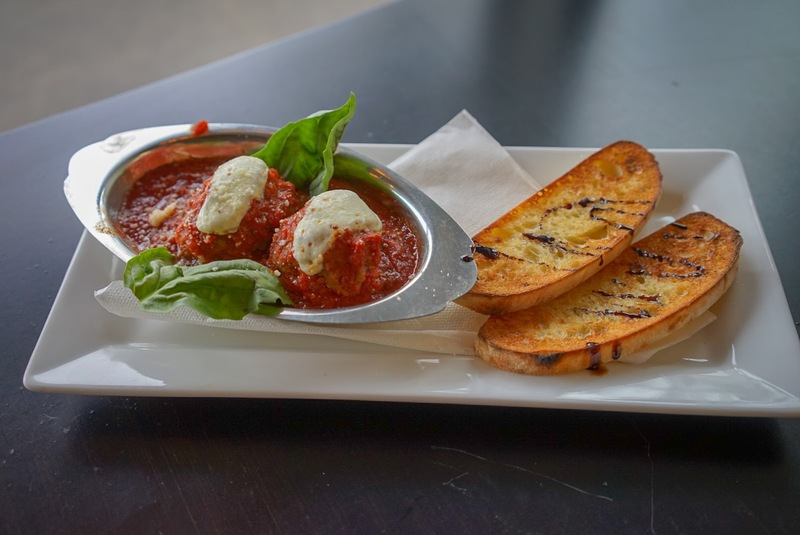 If you're a fan of meatballs, this is a good appetizer to order. THE DEVILS (SPICY)($16.00): Tomato base, mozzarella, housemade spicy sausage, Calabrese spicy salami, red chilies, parmesan and basil. Soooo good. There was a good amount of heat from the chilies that gave the pizza a kick but without being overpowering. The pizza wasn't overly cheesy, which is how I like my pizza to be and the sausage and salami were delicious. It was perfect for my meat-loving self. 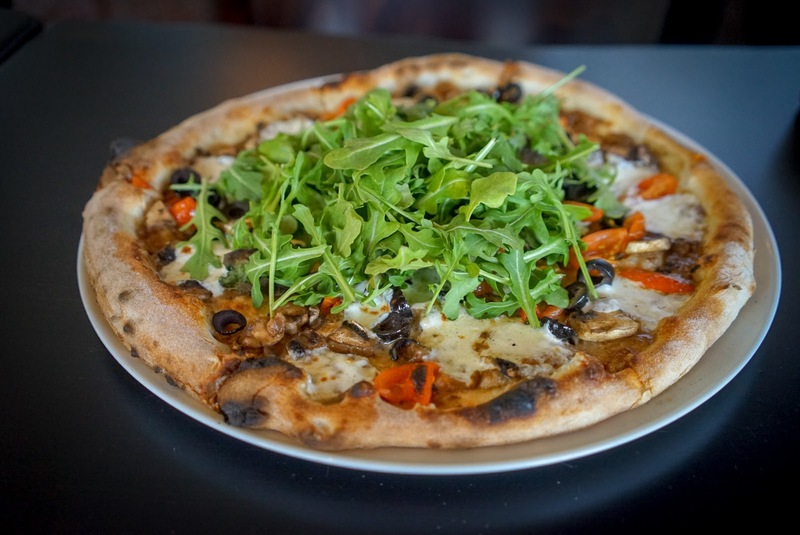 TRUFFLE AND VEGETABLE ($17.00): Truffle cream, mozzarella, ricotta, mushrooms, black olives, grape tomatoes, parmesan, basil, topped w/ arugula after bake. I really enjoyed this pizza. It tasted fresh and wasn't overly heavy. The truffle was subtle enough to be able to have that flavor without overwhelming the dish. The toppings were on point and I truly loved the fact that they topped the pizza off with the fresh arugula. 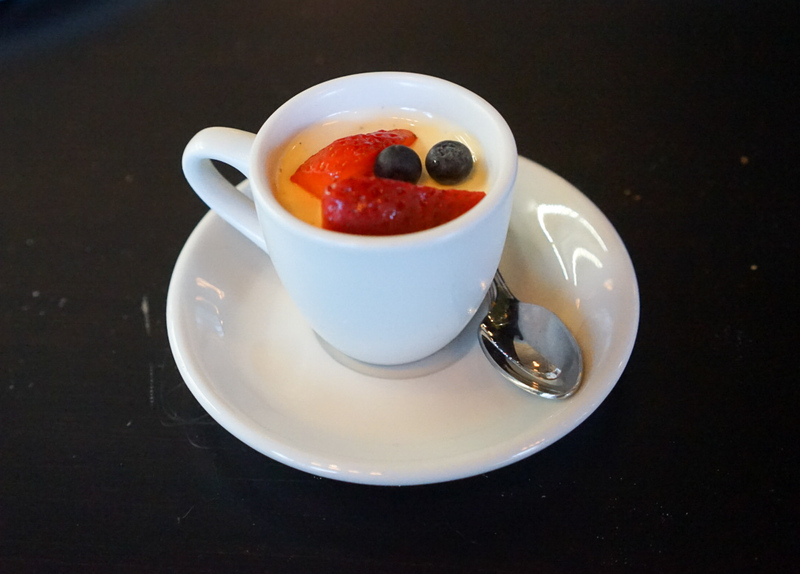 PANNA COTTA: A classic Italian dessert of chilled silky sweetened cream and vanilla bean, topped with fresh mixed berries. It was smooth, creamy, and absolutely delicious. 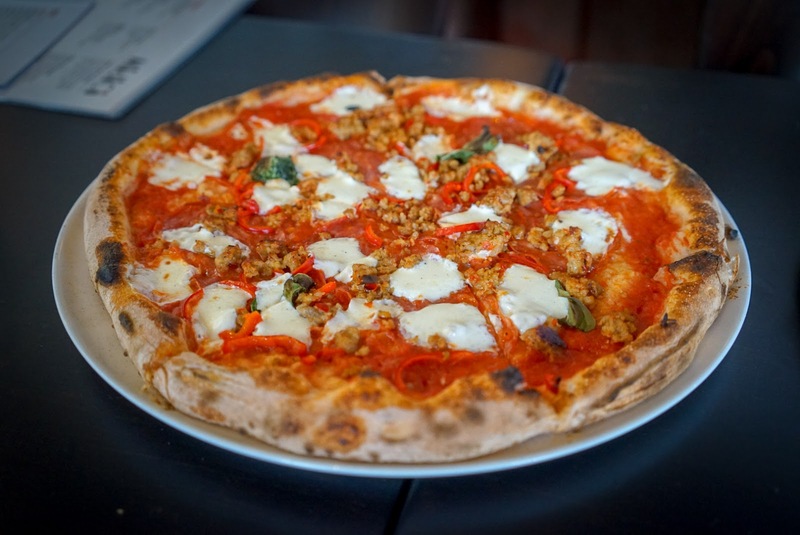 Overall, Midici delivers fresh and authentic Neapolitan style pizza without being pretentious. The staff were super friendly and on point. The Marina Del Rey location has ample parking and a tv for those times when you wanna catch a game (we managed to catch the Rams vs Saints NFL game). They offer beer on tap as well as wine and cocktails. Midici MDR also delivers an amazing happy hour menu Tuesday-Sunday from 3-5pm consisting of various alcoholic beverages as well as a selection of pizza and appetizers for $6. Yes, you read it...$6! In my opinion, that's a steal!